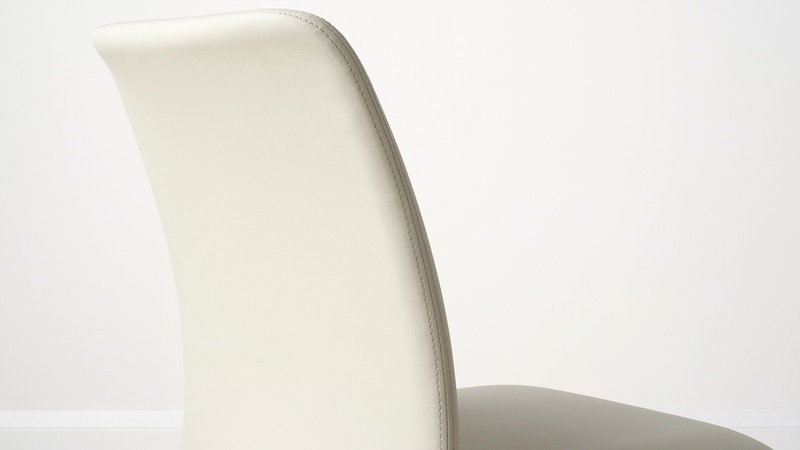 With its gentle curves and clean shape, the Nico Stackable Faux Leather Dining Chair is perfect for bringing a contemporary look to your home. 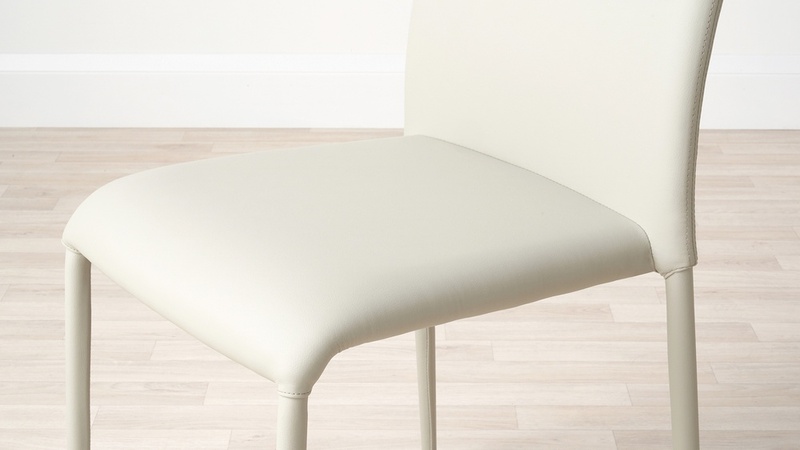 Fully upholstered in our soft yet durable PU, the Nico chair can be stacked too, making it ideal for space saving or storage when not in use. 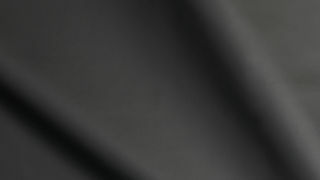 Made from our hardwearing PU, the Nico chair is fully upholstered, so both the seat and legs are covered in faux leather. 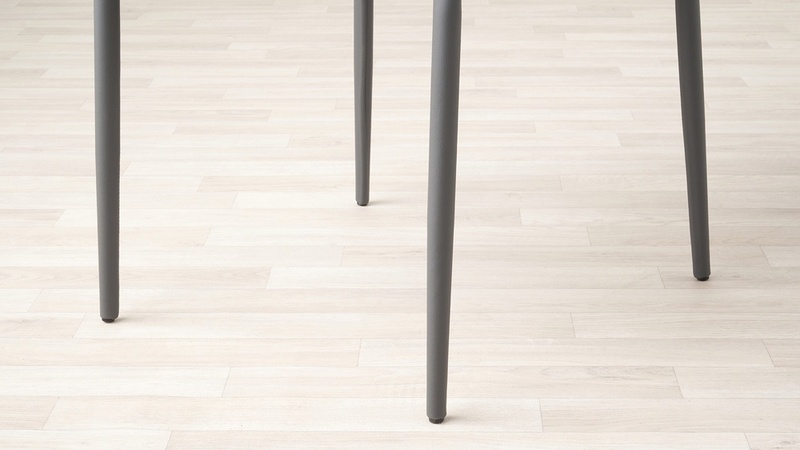 This takes away the hassle of trying to match metal chair legs with other finishes in your room and gives the chairs a really clean, cohesive look. 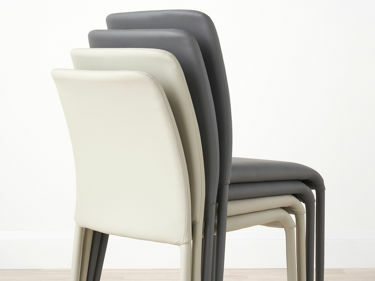 The sculptural design and lightweight quality of the Nico make this dining chair a stackable seat. Stackable dining chairs are great for space-saving and storage, especially during those special occasions when you have more people to seat. 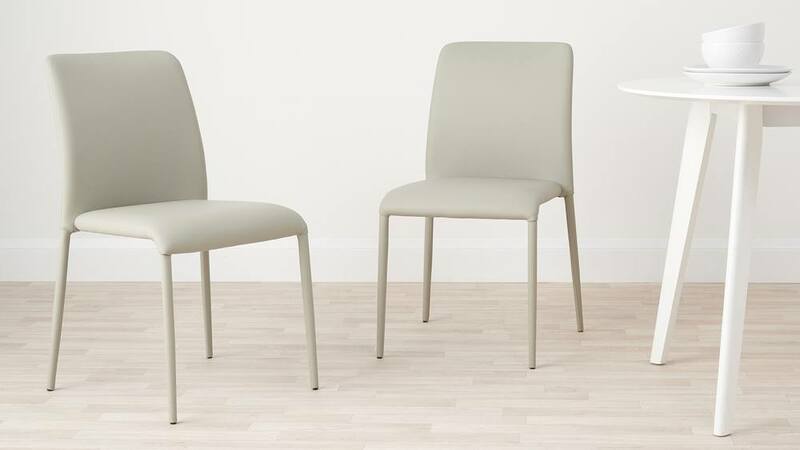 The Nico chair is available in a palette of neutral tones. We've selected these colours to make it even easier for you to create a harmonious colour scheme in your dining interior. 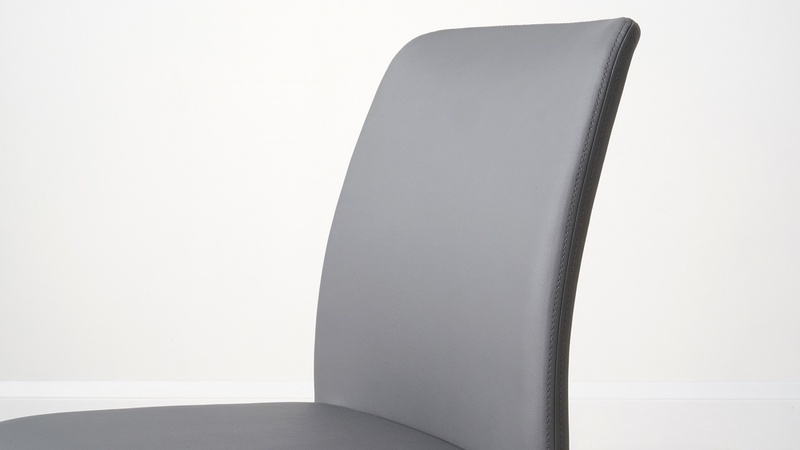 We also have the Riva Stackable Dining Chair if you like the fully upholstered look but want a fabric seat. 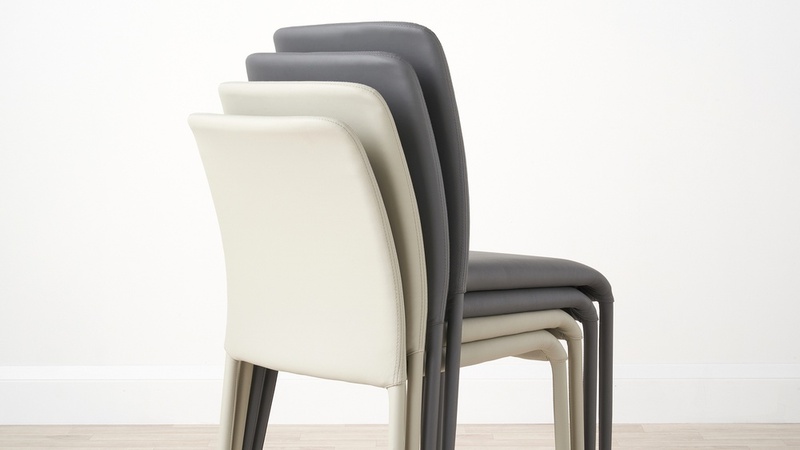 Fully upholstered in smooth faux leather, the Nico chairs are an ideal choice if you have an extending dining table or if you regularly have a different number of guests to seat. 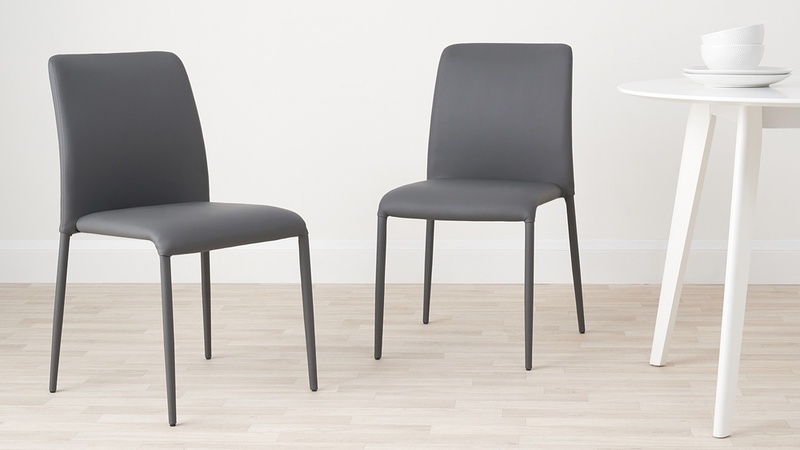 The slim and streamlined design with the bonus of being stackable means these chairs are easy to store away when you are short on space, or when they’re not in use.